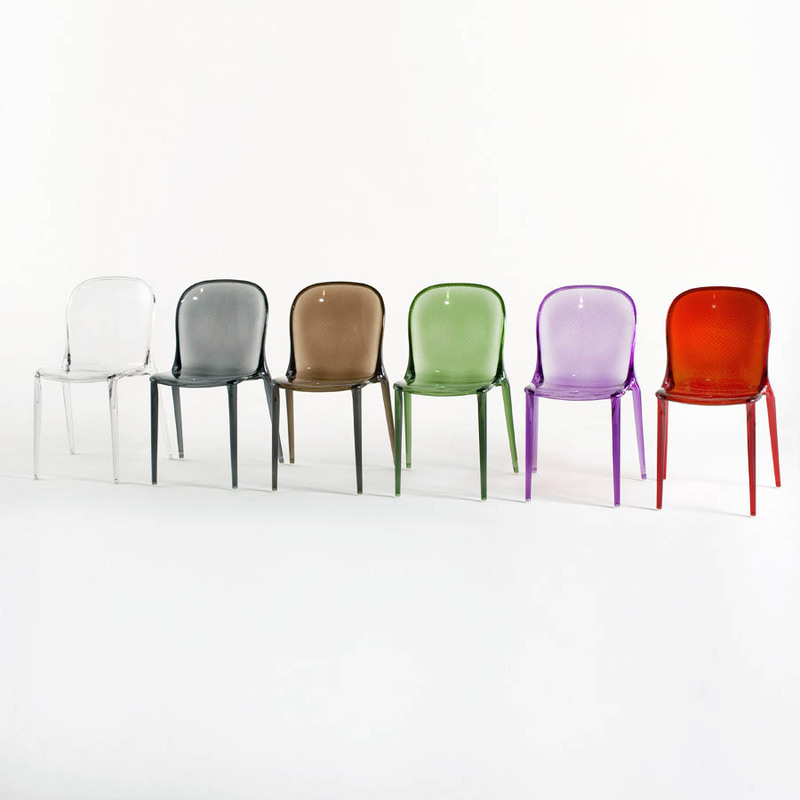 A contemporary remake of a classic chair, the Kartell Thalya Chair combines simplicity and strong graphic design. 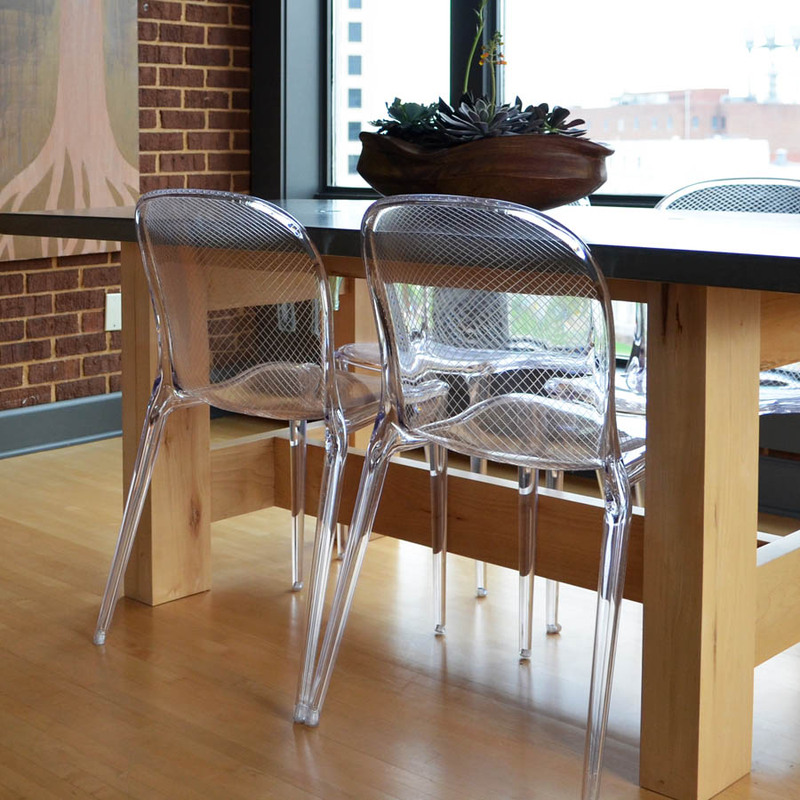 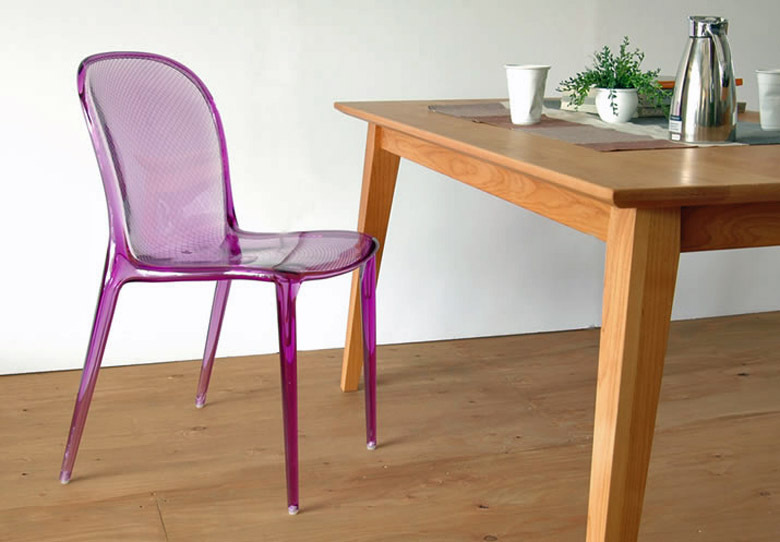 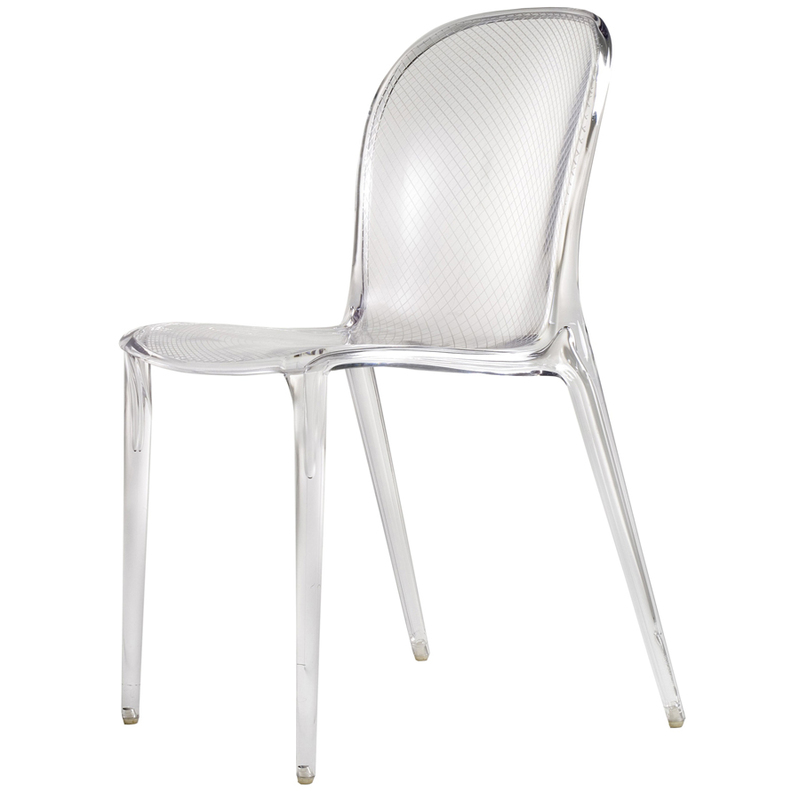 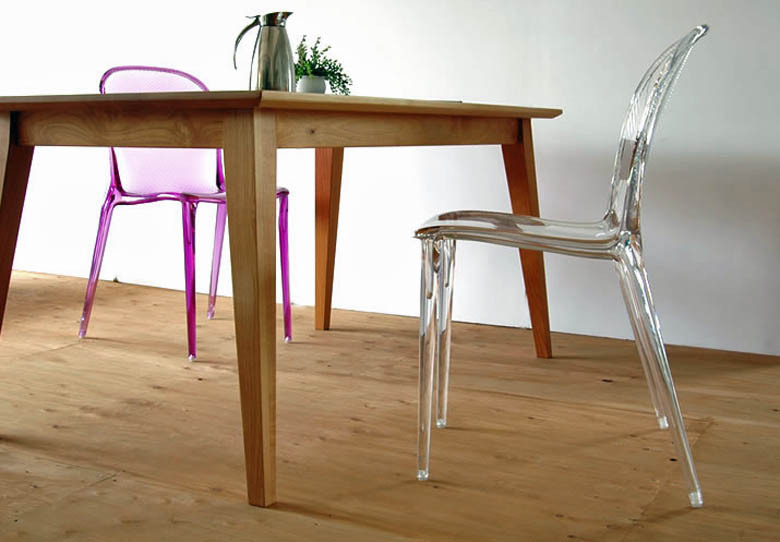 This polycarbonate chair has sinuous, elegant, soft and almost feminine lines. 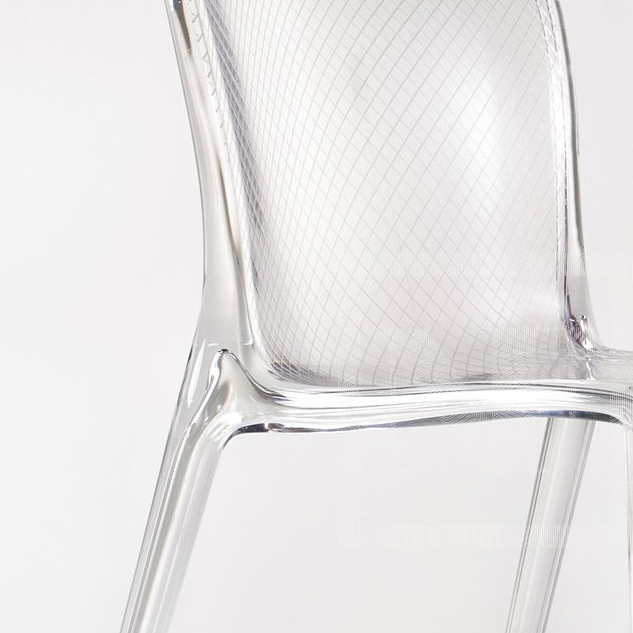 Made using gas-injection technology, Thalya has rounded edges, hollow legs and a unique "reticular" pattern along the seat and backrest. 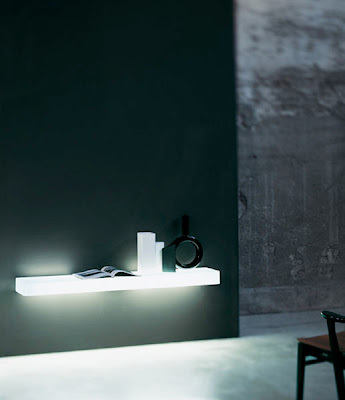 Its subtle graphics give Thalya’s minimal and elegant shape movement and highlights, amplifying its ethereal fascination. 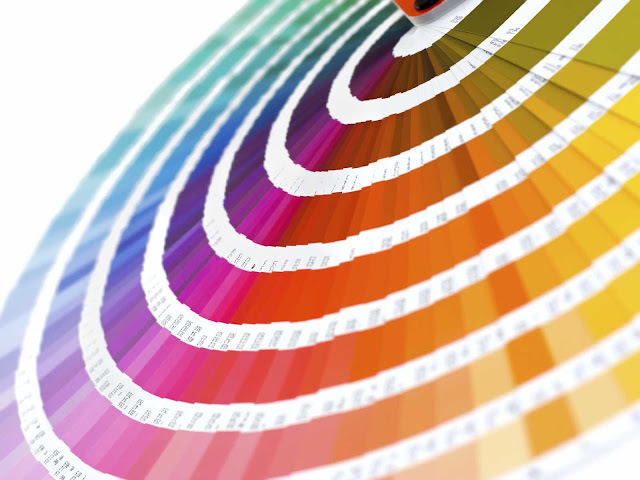 A selection of elegant colors make it the perfect addition to the most stylish ambiances.